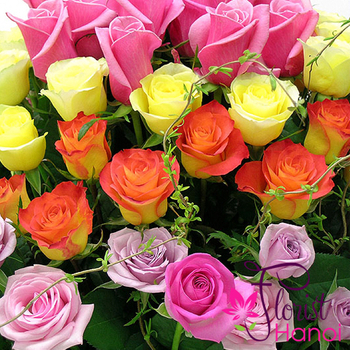 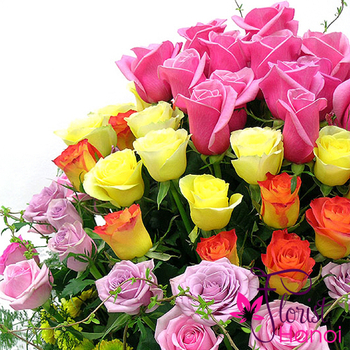 Pink, yellow, orange, purple roses. 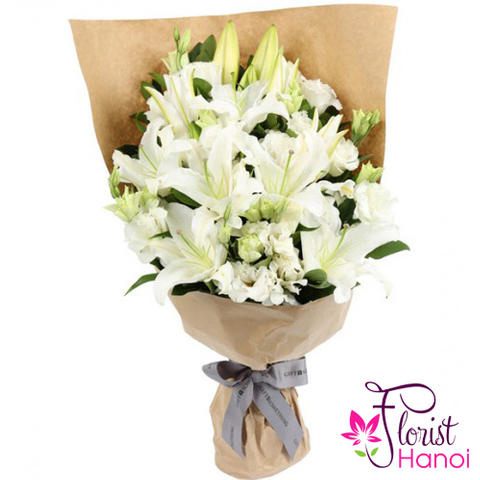 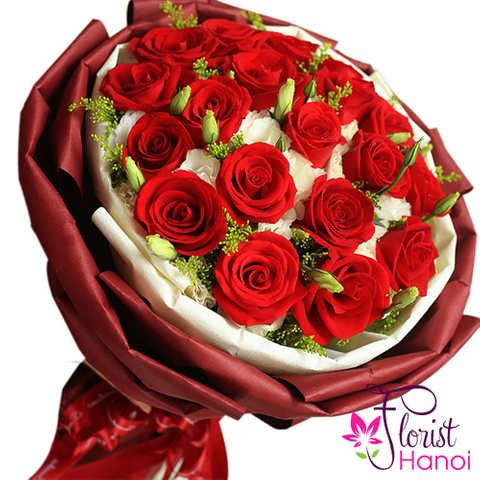 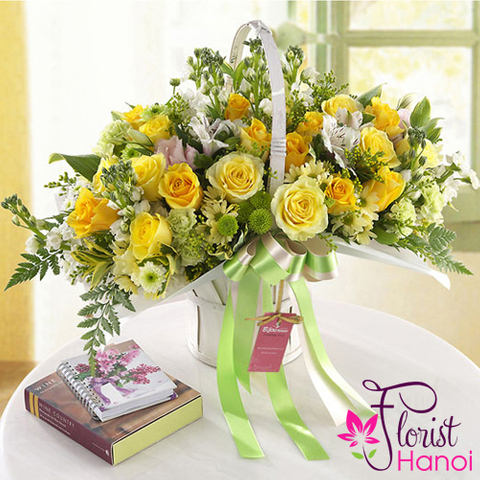 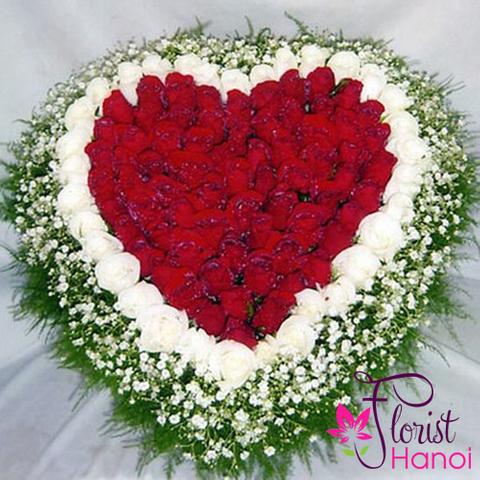 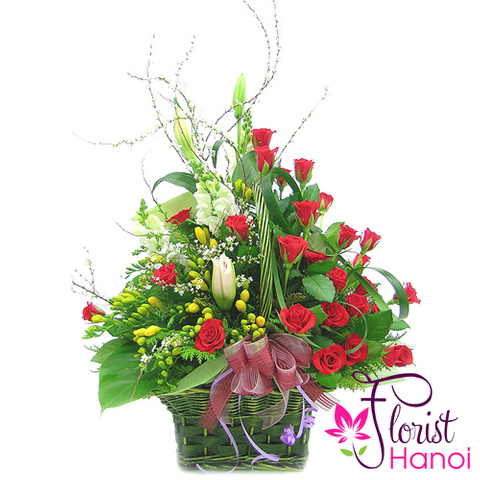 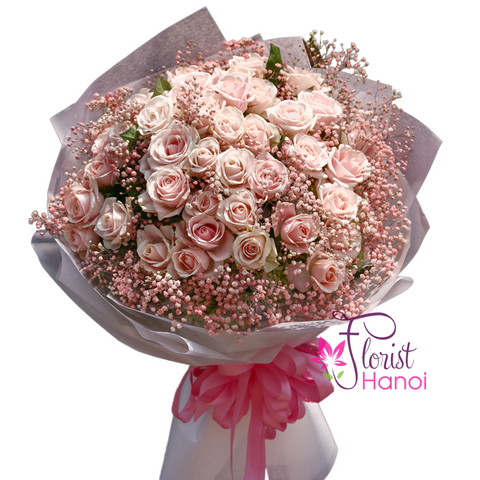 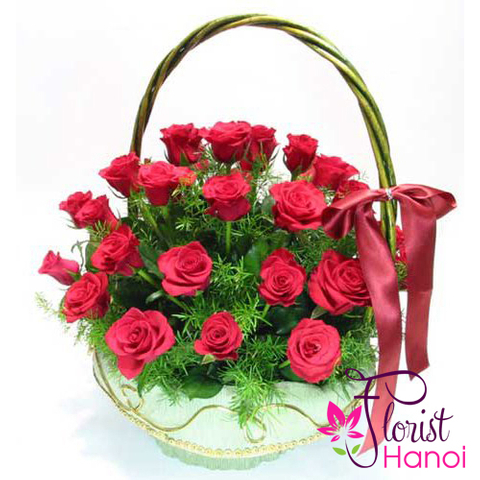 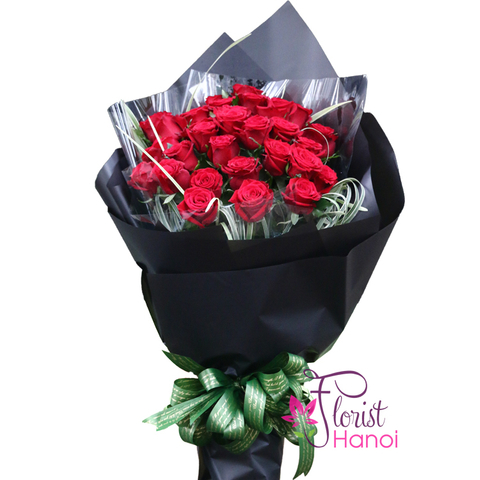 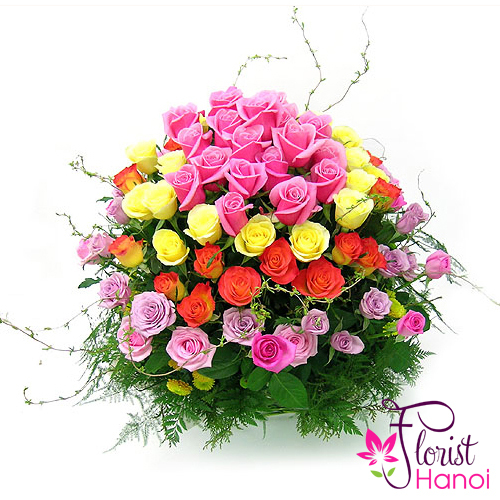 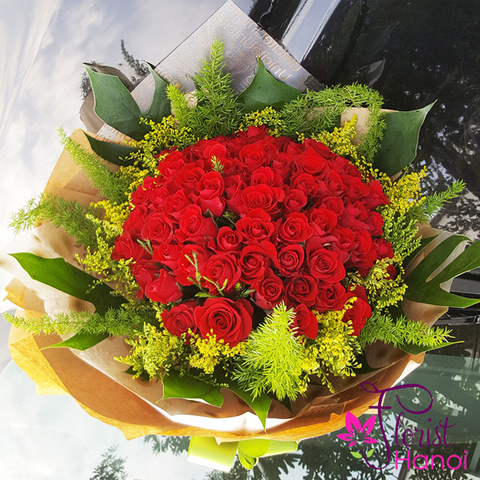 This bright color flower basket arrangement will bring soft and brilliant impression to the recipient and enough to get attentions. 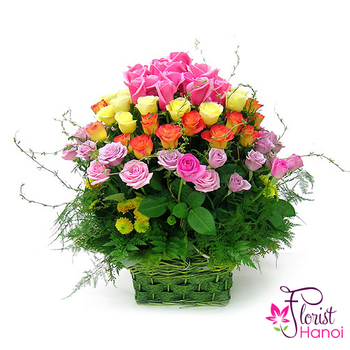 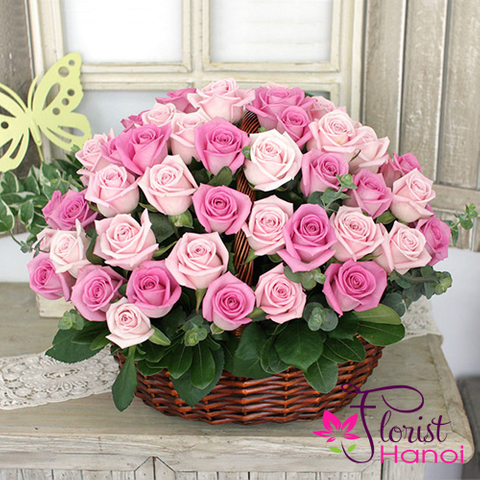 Blended color roses arranged in a wooden basket, gathered with green grasses and will make any occasion even more spirited.